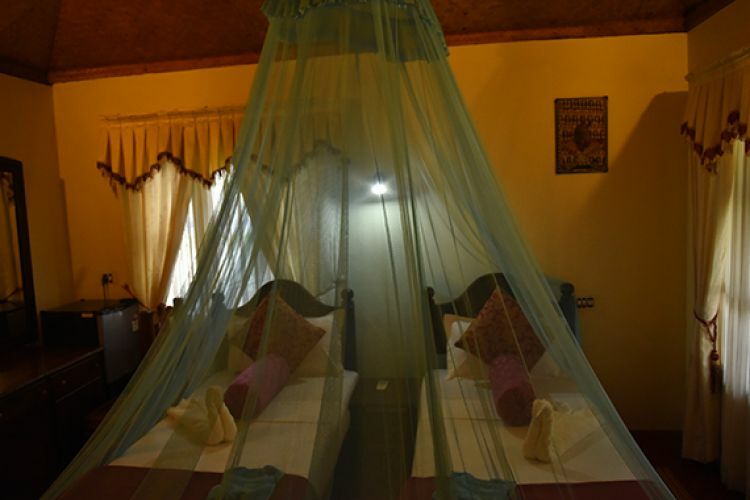 Maadathil Cottages offers variety of standard cottage accommodation options. Standard Cottages has heritage-styled furniture and wooden arts that provides rejuvenating garden-fresh view to the Odayam beach. Standard Cottages tucked away in a corner of our resort featuring sized bed, hygienic toileting system and charming balcony view to the shores of Odayam beach gives a pleasant stay. 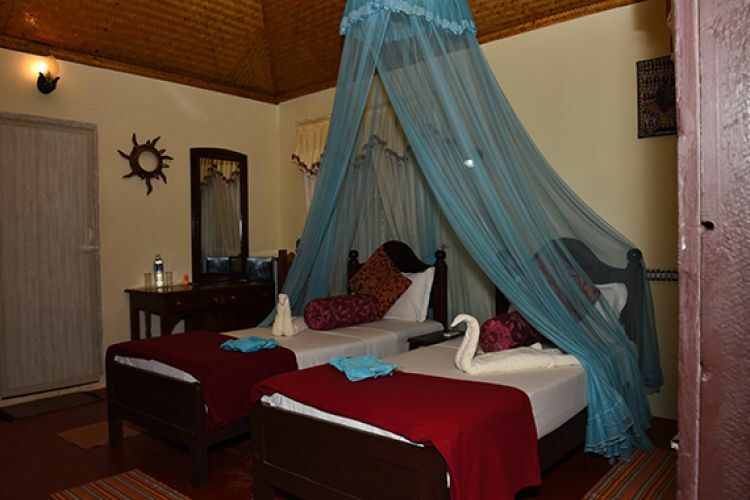 Surrounded by coconut and almond trees sets in front of lotus pond, the deluxe cottages are some twin bedded with private balconies that looks down at the sea. Aesthetically designed cottages and well spaced rooms are well appointed with wooden furniture’s and wooden arts. Having all the latest amenities with large beautiful garden, spacious lawns and striking environment. 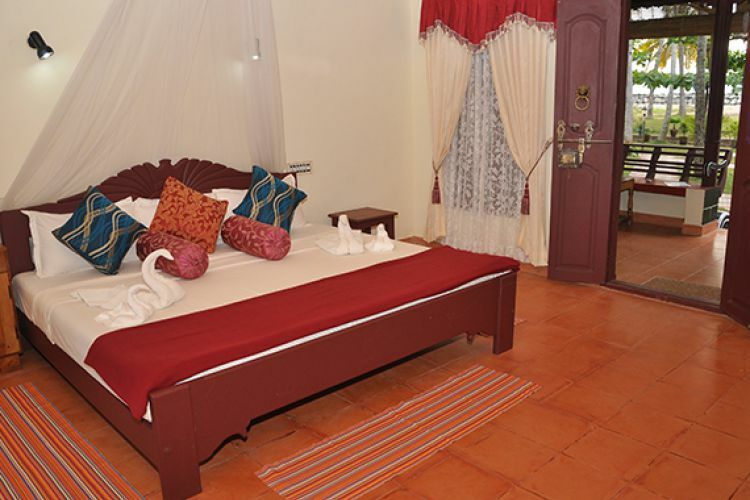 Super Deluxe Cottage gives more spacious than the other cottages we provides. The cottages are striked out from a lotus pond and clear view of beach. Don't share your lovable moments with someone or it will be your loved ones, Super Deluxe Cottages gives such an valuable stays for our guests. The view from the lotus pond strikes out a good day and rejuvenates your mind much more happier.